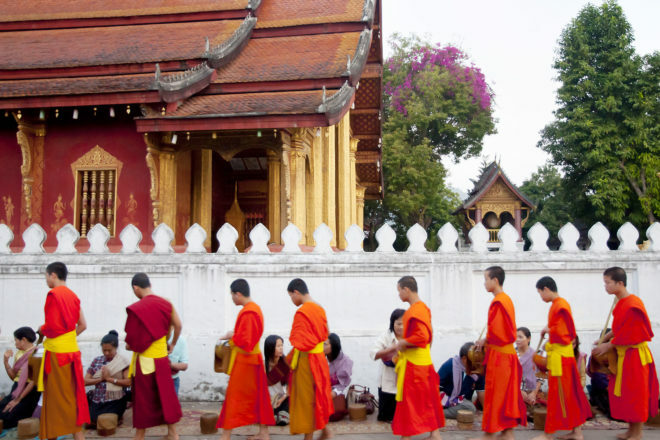 Discover why Luang Prabang in Laos #95 in our countdown of ‘100 Most Incredible Cities in the World’. This UNESCO World Heritage listed town is surrounded by mountains at the confluence of the Nam Khan and Mekong rivers. Buddhism is intrinsic to the city; it’s home to many ancient temples including the golden Wat Xieng Thong, dating back to the 16th century. Meander through the old town among saffron cloaked monks and admire French Indochinese buildings that have converted to boutique hotels, shop fronts, and cafes.